I am a Certificated Teacher with the Mindfulness in Schools Project (MiSP) for the “.b Foundations Course” (for teachers/staff/parents); the “.b for Teens ” and the “Paws b” for primary school children courses. 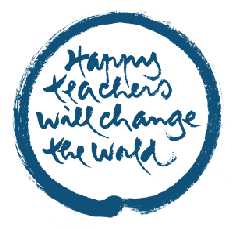 In association with MiSP, myself and a number of fellow inspired local “.b” teachers are working together as ‘Mindful Schools Cornwall’ to enable more widespread teaching of evidence-based Mindfulness Training to teachers, educational support staff, children, and young people. I offer “.b Foundation” and “.b for Teens” and “Paws b” courses with this in mind. I also work for the NHS as a Psychological Therapist, ACT (Acceptance & Commitment Therapy) and MBCT course teacher. I was registered with the Nursing and Midwifery Council (NMC) until 2014 and, in line with their ethos, remain committed to promoting and protecting the health and wellbeing of those in my care and in the wider community. Some of the ways I meet this as best I can, is by undertaking to live an authentic and healthy lifestyle, respecting our beautiful blue planet’s gifts and offering support, whether as colleagues, clients or friends, to medical, health and teaching professionals responsible for caring for the more vulnerable members of society. Thank you for visiting Heart and Mindfulness. 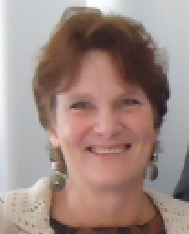 MPsS British Psychological Society (BPS); Founder Member SG Coaching Psychology; British Wheel of Yoga (BWY) and TPOT. Codes of Ethics: BPS . Professional Indemnity Insurance through BPS and BWY.